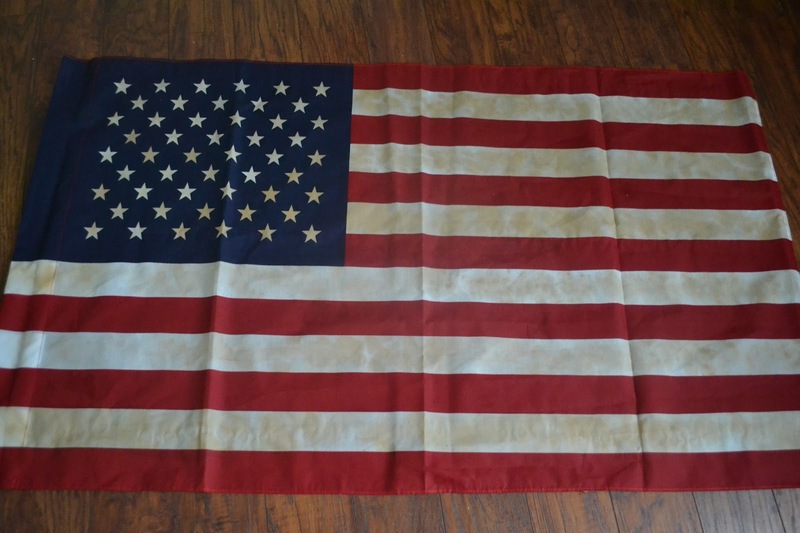 Have an old flag and you hate to have to get rid of it? 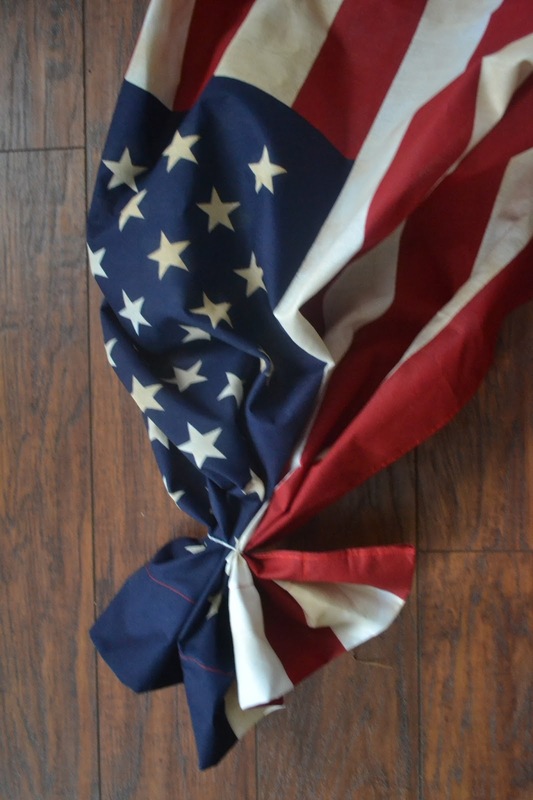 I have repurposed mine into a patriotic flag. You can certainly use a new flag though too! 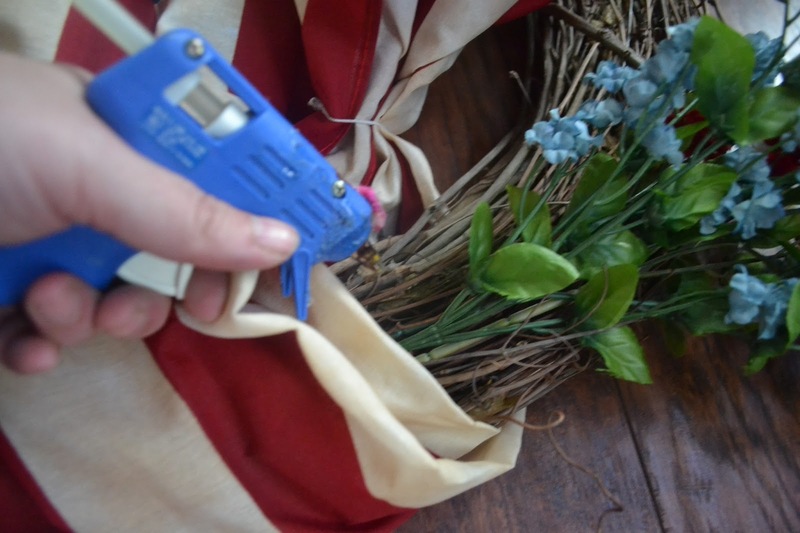 Decide on placement of any flowers yo may wish to use and hot glue in place. Lay out flag on work table. Drape reamining part of flag across wreath in a diagonal and wrap around and through the center of the wreath at about the 4 o'clock postion as show below. 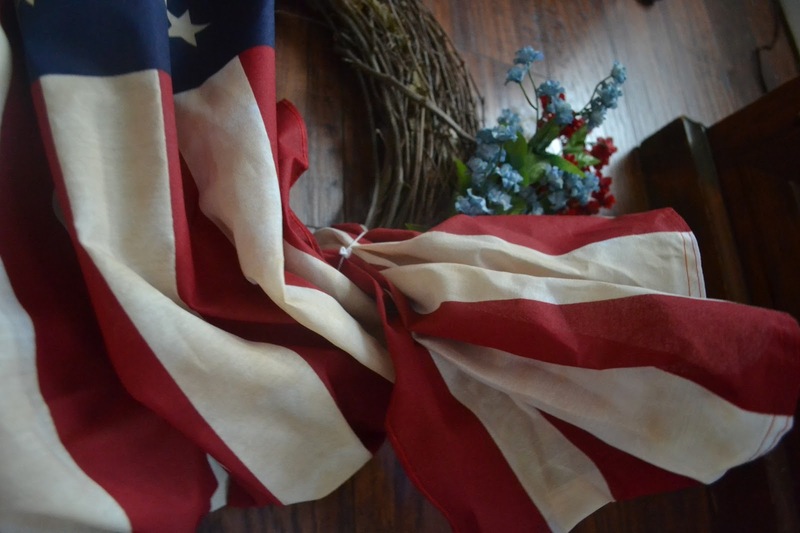 (End of flag should now be pulled up slightly through the center of wreath). 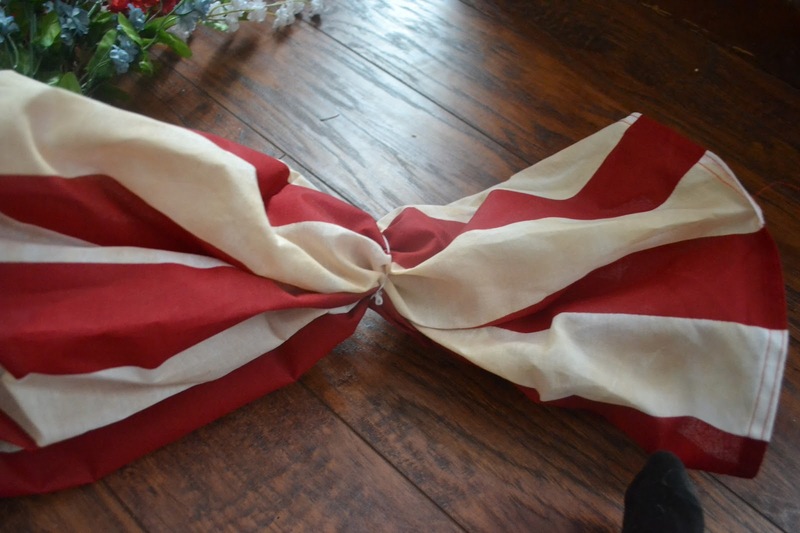 Gather the end of the flag and secure with rubberband approximiately 4 inches or so from end. 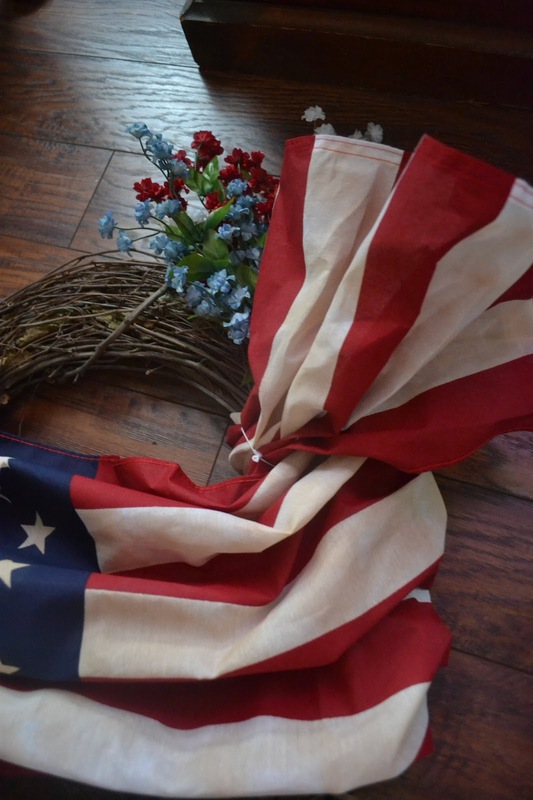 Wrap end of flag around wreath again at the 4 o.clock position next to where you wrapped it before. 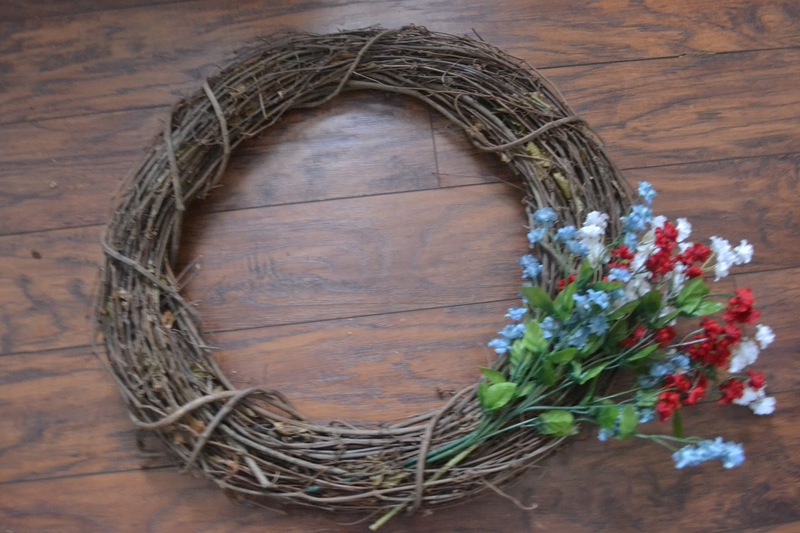 try to hide rubber band just inside the center of the wreath with the gathered portion draping over the wreath. 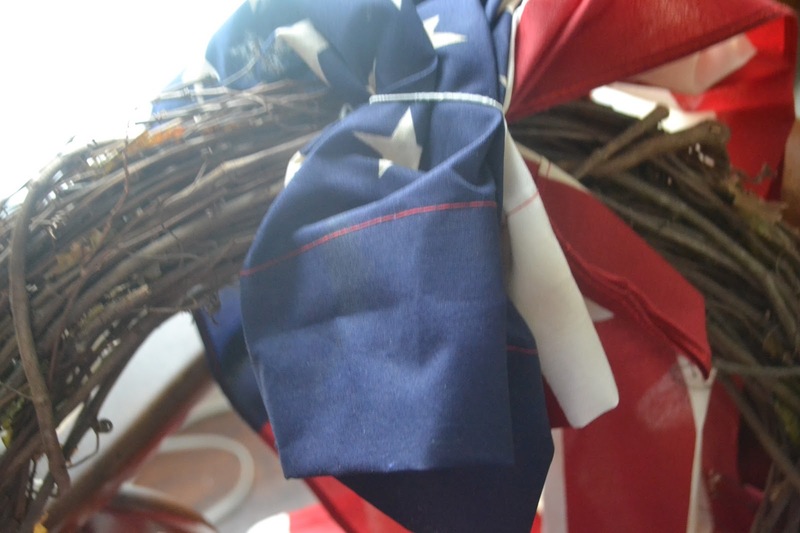 Hot glue in place by gluing underneath the flag to the wreath. 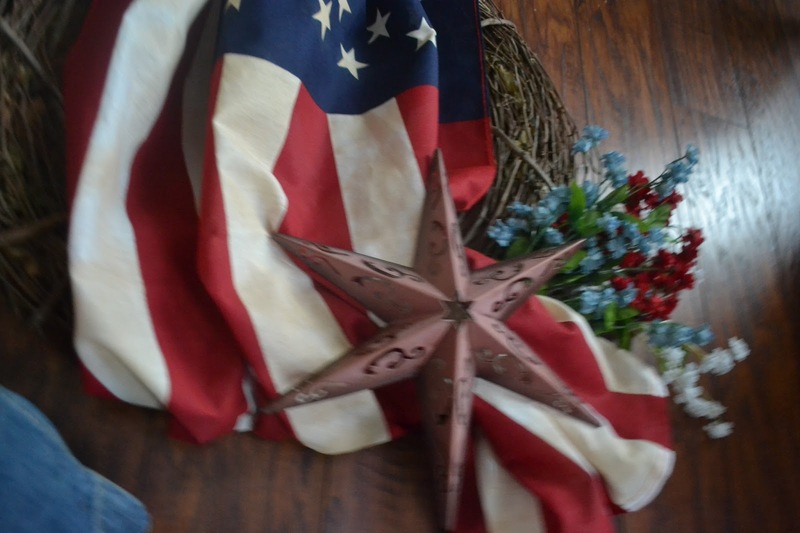 Hot Glue /tie down Star over the top of the draped portion/flowers. This will help hide any rubberbands showing as well. Beautiful wreath! 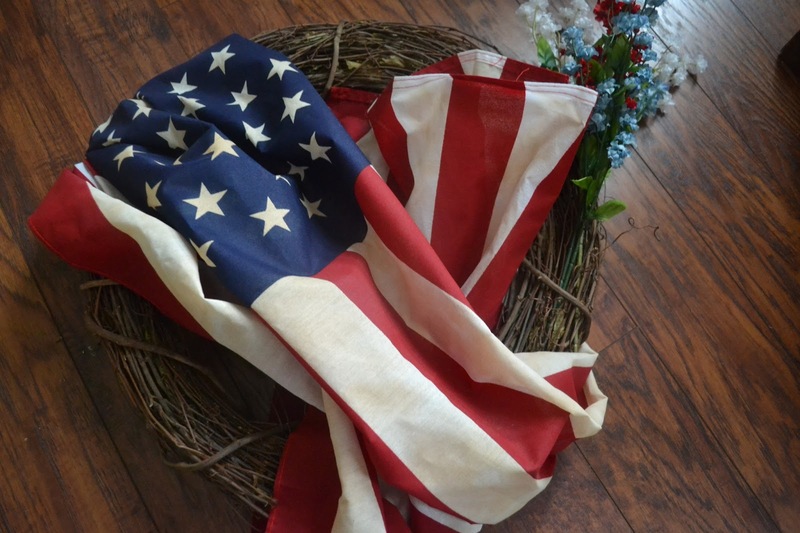 I'll keep this in mind when we replace our flag next. It seems like our flags only last one to two years and this one is currently on year two. 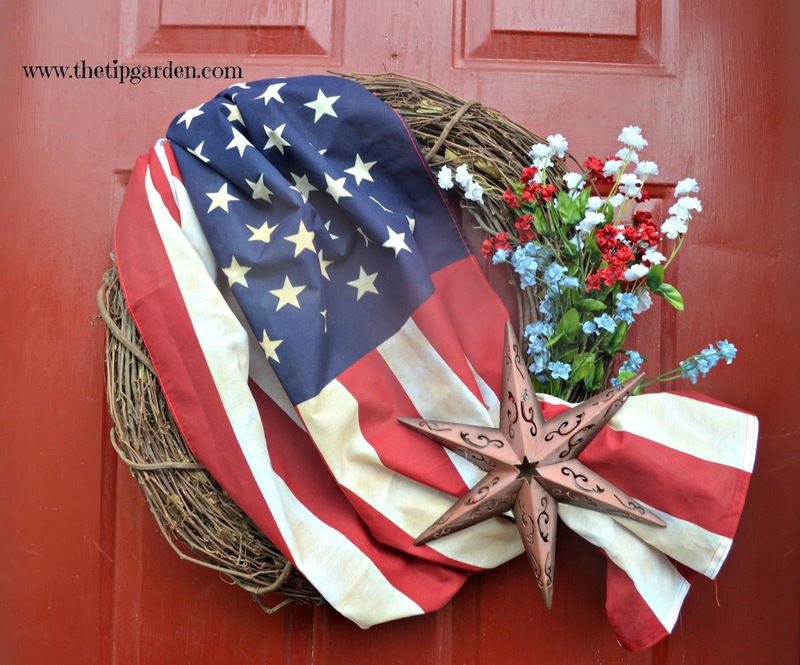 I've always thought this wreath was beautiful! Thanks for linking it up on the Celebrate 365 Blog Party!